Periodontics is an important part of overall oral health care, and it is essential to take proper care of your gums on a daily basis. By understanding what periodontics is and when to seek periodontic treatment, you can ensure that your gums are well cared for and good oral health is maintained. The supporting structures of our teeth play a large role in our overall oral health as well as the health of our teeth. The following is everything one needs to know about periodontics and how to properly care for your gums to help avoid oral health complications from developing. Periodontics is a branch of dentistry that focuses on the gums and other supporting structures of the teeth. The main issue periodontics is concerned with is periodontal disease — or gum disease — and a dentist is able to diagnose, treat and prevent periodontal disease in an effective manner. More serious cases may require a visit to a periodontist, who specializes in treating the gums. 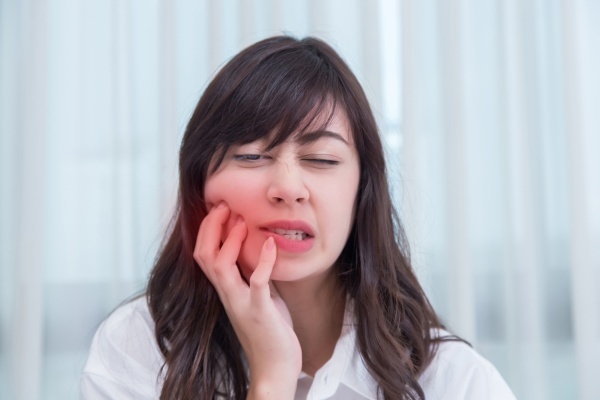 Essentially any issue pertaining to the supporting structures of teeth — particularly the gums — can be effectively and efficiently diagnosed, treated and further prevented. The best way to deal with periodontal disease is to prevent it from developing in the first place. The best way to do that is to practice good oral hygiene each and every day, which should involve a routine brushing schedule, using floss and mouthwash daily and checking your gums for any signs of periodontal disease. When caring for your gums, be sure to watch for any concerning symptoms, such as red, swollen or bleeding gums. While it is important to brush the gums, be sure not to place too much pressure on them while doing so as it can cause increased sensitivity. In the event that gum recession occurs, it should be taken as a serious sign of periodontal disease. It is also important to visit the dentist on a regular basis to ensure quality gum health is maintained and ensure that no issues develop. In the event any signs of periodontal disease are noticed, be sure to visit the dentist as soon as possible to ensure that the early symptoms do not worsen or linger for longer than what is necessary. With prompt care, gum disease can be effectively treated without causing any long-term effects on your overall oral health. If you want to learn more about periodontics and how to properly care for your gums – or fear you have developed a periodontal disease – give us a call and schedule a time to come in for a visit to find out how we can help you have healthy gums. Check out what others are saying about our dental services on Yelp: Periodontics.